Obstacle (mast) at location 49 35 52 N 015 32 58 E. HGT 50 m AGL, ELEV 455 m AMSL. Day and night marking. Be careful. AD is located in vicinity of MTMA Čáslav. 1.1.1With regard to the grass surface, decreased level of movement area operability may be expected after heavy rains. 1.1.2Snow clearing is not provided over the winter period. 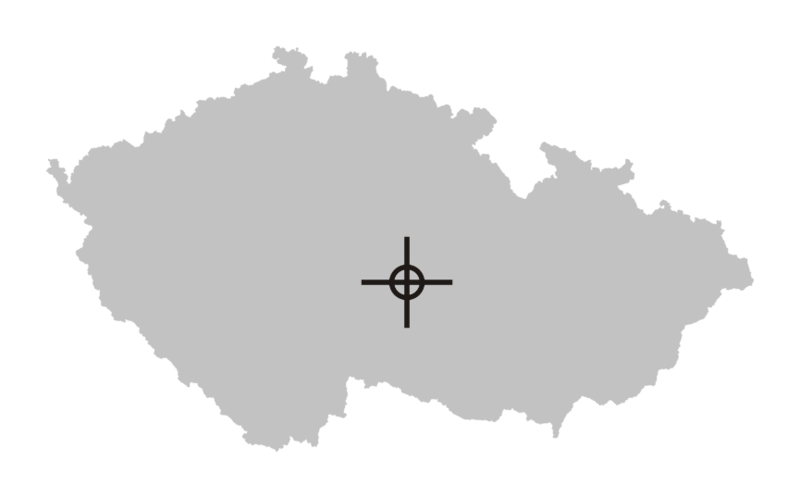 1.2AD is located in vicinity of MTMA Čáslav. 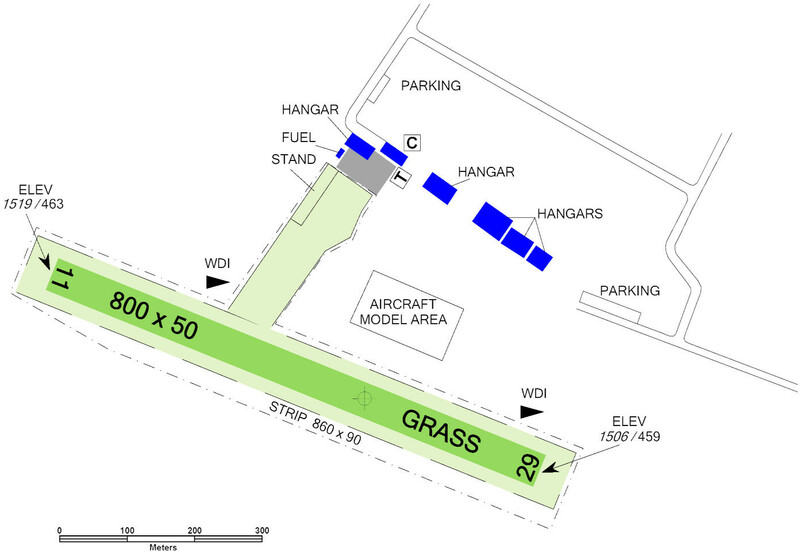 1.3.1Carry out the traffic circuits only southwards from RWY. 1.3.2The traffic circuit altitude is 2500 ft / 760 m AMSL. 1.4.1Aircraft flying along the traffic circuit shall not overfly Poděbaby, Březinka, Hurtova Lhota, Šmolovy villages and populated area near Dolík train station. 1.4.2Towing aircraft operations are allowed only upon prior agreement of the operator. 1.5Arrival/departure of aircraft without two-way radio contact are allowed only upon prior agreement of the operator. 1.6Arrivals outside operational hours are allowed only upon prior agreement of the operator (check of movement areas serviceability). 1.7Training circuit flights of other operators are allowed only upon prior agreement of the aerodrome operator and within operating hours of the aerodrome. 1.8Arrival/departure of aircraft with total length greater than or equal to 9 m or with fuselage width greater than 2 m or jet aircraft is allowed only upon prior agreement of the aerodrome operator (provision of rescue and fire fighting service). 1.9Radio controled model activity in the area north of RWY. 2.1Obstacle (mast) at location 49 35 52 N 015 32 58 E. HGT 50 m AGL, ELEV 455 m AMSL. Day and night marking. Be careful. 2.2Providing information to known trafic in English on request 24 HR in advance. 2.3Request for custom and immigration service shall be submitted to aerodrome operator through a web application or a form available on the Internet site of the operator. The submission of such request shall not remove the obligation of pilot-in-command to submit Request for the Border Check.